This was the week that both Z and C were talking about all summer. They were so looking forward to devoting a whole week to each of their favorite things. The week started off with meeting Princess Belle at the Kiki Sunflower Soiree. Lil’C was in HEAVEN and spent about an hour total with Princess Belle. They went on a hayride, did a puzzle together and even went to the potty at the same time! 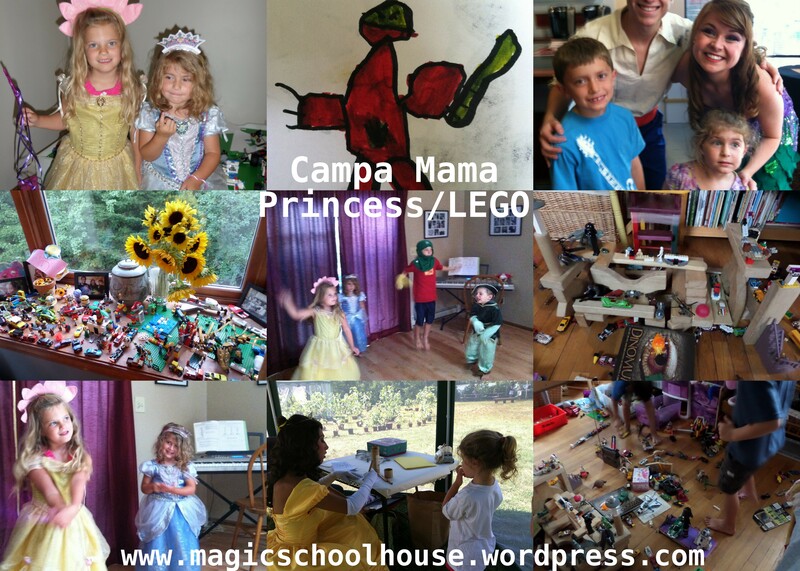 On Monday we had a LEGO/princess playdate. The boys built a cool LEGO city and the girls had a tea party in their princess dresses. It was so cute and they both had so much fun with their good buddies M and C. Tuesday we went with good friends to see the Little Mermaid Play! The kids loved it and got to take their pictures with the cast. After the play we headed back to our friends house for some LEGO play. The perfect combination of princesses and LEGOs. The rest of the week was spent building a complex LEGO city in our dining room, playing princesses and putting on a show with their cousins that incorporated LEGO Ninjago, Princesses and even Peter Pan for their youngest cousin. The highlight for Z happened this past weekend when we went to LEGO Land Discovery Center with Auntie Amber and Uncle Andy. Z has been looking forward to this day all summer and had so much fun! Lil’C also had a good time, it was such a cool place, they both LOVED it!